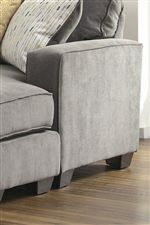 With the footprint of a sofa, this sofa chaise includes a chaise for contemporary style and comfort. 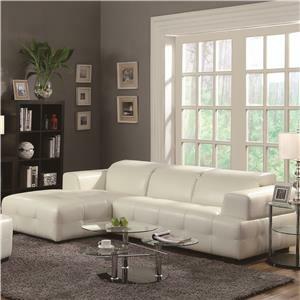 The chaise section can be configured for use on the left or right side of the sofa chaise. 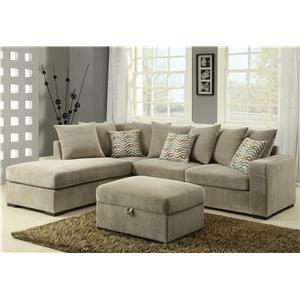 Or it can even be used with the coordinating loveseat. 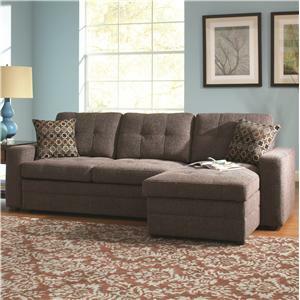 The sofa chaise's track arms and loose box seat cushions create a clean-line silhouette for your home's living room. 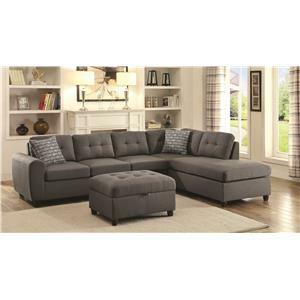 The gray microfiber fabric complements the modern pattern on the square accent pillows included with this cozy sofa chaise. 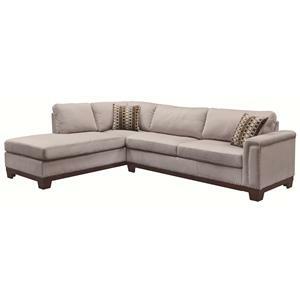 The Hodan - Marble Contemporary Sofa Chaise with Track Arms & Left or Right Configurable Chaise by Signature Design by Ashley at Value City Furniture in the New Jersey, NJ, Staten Island, Hoboken area. Product availability may vary. Contact us for the most current availability on this product. Pillow Toss Pillows with Hidden Zippers. 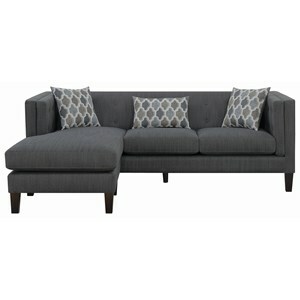 2 Pillows with Geometric Stripe Fabric Print on One Side, Other Side of Pillows Match Sofa Fabric. (70% rayon, 30% polyester). 2 Pillows with Yellow Tone Print on Both Sides (56% rayon, 44% polyester). Frame Construction Frames have been tested to GSA government standards. Corners are glued, blocked and stapled. Seats and back spring rails are cut from 7/8? hardwood. 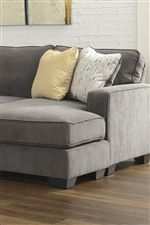 The Hodan - Marble collection brings a delightfully contemporary combination of gray microfiber paired with a pop of golden yellow accents in the accent pillows on the sofa chaise. 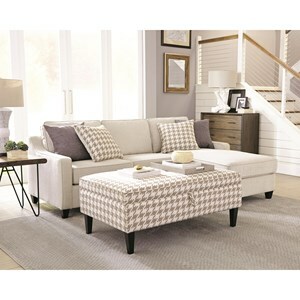 Perfect for today's lifestyles, this upholstery collection livens up the look of any home's living area. 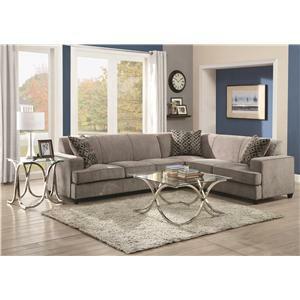 The Hodan - Marble collection is a great option if you are looking for Contemporary furniture in the New Jersey, NJ, Staten Island, Hoboken area.